Sakura is very obviously enjoying herself! bashfulglowfly wrote: Sakura is very obviously enjoying herself! She is isn't she? Naruto's my fave with the toothpaste and rubber ducky. I can just see him starting to sing the ole Sesame Street Rubber Ducky song. My ego trip has made a comeback. Plus the coloring is just incredible. chrisb wrote: My ego trip has made a comeback. Plus the coloring is just incredible. The coloring style reminds me of either Eiji Usatsuka or Houden Eizou. Can't decide which, but it's something I've been trying to get on photoshop recently and failing epic-ly at. bashfulglowfly: just want to say I've loved your Sailor Moon sigs. The artwork reminds me of the kids next door or something, and I love weird versions of the Sailor Moon characters. Littlewolf wrote: bashfulglowfly: just want to say I've loved your Sailor Moon sigs. The artwork reminds me of the kids next door or something, and I love weird versions of the Sailor Moon characters. Thank you. I found the fanart on Deviant Art and thought it was funny. Don't leave me Chris...I couldn't bear it lol. Taking a short break from my normal sig to use this nifty one from Silent Hill 4. A game I plan to start playing soon so i figure I'd get myself in the mood. More experimentation in signature making. It's K-ON meets Abbey Road, what more do I need to say . Decided to haul out one of my old nice summer sigs until I get myself a new one. Arjuna. Such beautiful style, I really wished the TV show kept this pretty style but it was still gorgeous. 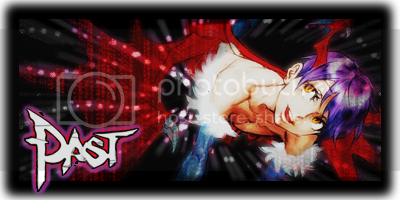 darksideoftheanime wrote: More experimentation in signature making. It's K-ON meets Abbey Road, what more do I need to say . I love the sig, pop-culture x-referencing is awesome but I like the Hidamari Sketch rendition better (which was actually used for their album art). Have you seen it? Added a link to my new Flickr photo stream. I'm gonna use Flickr for my personal pictures and keep misc junk and avatars etc on photobucket. I also promise to update the blog lol. Sticking with the baseball theme, my new signature features Ubaldo Jimenez. Just give this guy the NL Cy Young Award already. This has been the year of pitching indeed. Yes, I literally laughed out loud upon seeing that. Now is that OMG so good magical or trippy and weird acid trip magical lol? As for me I HAD to use this wonderful sig of David Caruso. This is his response to when people say CSI NY is better then CSI Miami lol. I know I just changed my signature to one of Ubaldo Jimenez; but after Edwin Jackson tossed a no-hitter out of nowhere I just had to change my signature to one of Jackson.